Wondering what's in season on Vancouver Island and where you might be able to get some of these delicious ingredients? Check out Island Farm Fresh! They've got a comprhensive list of great local farms and markets you can visit this summer! Beans, beats, broccoli, cabbage, carrots, cauliflower, celery, garlic, herbs, lettuce, onions, peas, potatoes, rhubarb, spinach, squash, and sweet corn. The Island Farm Fresh website allows you to search by category (Berries, Farm Tours, Food & Beverages, Meat, Livestock & Feed, Plants & Gardening, Tree & Vine Fruit, and Vegetables) so you can narrow down your search to exactly what you're looking for. And, if you've been looking to head to a specific farm - no worries, they have you covered on that front as well! We're super excited for the sweet corn that becomes available on Vancouver Island. This is a childhood favourite of ours and we're excited to share it with our subscribers this summer! If you haven't yet heard of this Island gem, check them out - Silver Rill Corn Farm. 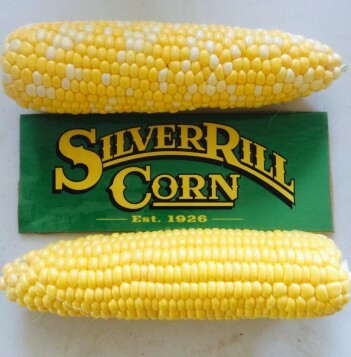 Silver Rill Corn is also known for a lot more than just the amazing corn they produce! We also know you can't get EVERYTHING on Vancouver Island, so we did a bit more research to find a more broader list of fruits and vegetables that are still local, but off the Island - Check out BCFarmersMarket.org. These guys will tell you what's in season in B.C. and not just what's available on Vancouver Island. We enjoy using these sources of information to develop and choose the different recipes we decide to make each week! We hope you're enjoying all the great things this summer, and if you're sticking around the island or going on a bit of a road trip into the B.C. 's Interior, don't forget to check out these local businesses!